In 2015 my wife Sunita and I spent 5 months cycling around Europe, taking a sabbatical, and raising money for various causes. Some of you reading this article may have helped sponsor our trip. We thank everyone for their generosity. 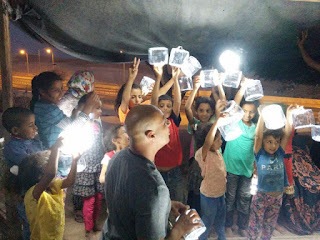 One of the funded projects came to fruition last week (Sept 2016) with the first pilot distribution of solar lighting to 50 Bedouin families in the Judean Desert. Sunita and I used this lamp almost every day for camping during our bicycle trip. It’s a well well designed product made with sturdy materials for long lasting use. These ingeniously designed inflatable solar lights are completely self contained with a built-in solar panel, battery, and an array of LED lights that can light up an entire room for 6-7 hours. 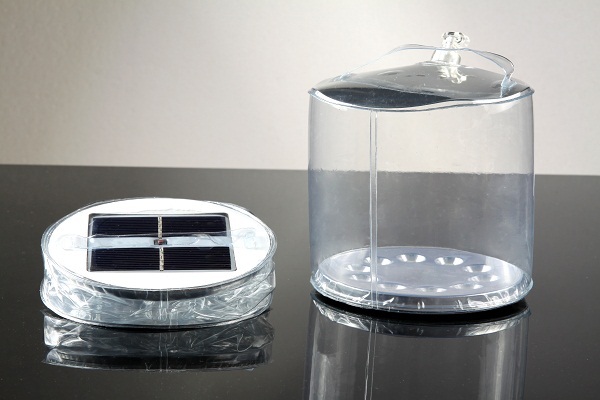 During the day the lights are placed outdoors for charging, even when there is cloud cover. The Green Olive Delegation arrived in the village of Khan al Ahkmar as the sun was setting. A perfect time to showcase the lamps. The lights were distributed at dusk to the children of each family, along with instructions on charging them. The families were delighted, and several days later by the village Mukhtar, Sheikh Eid Muhammad Khamis, who asked for more lights for the rest of the families. So we distributed another 30 lights and now need to order more. Our goal is to distribute lights to every Bedouin community in the Judean Desert and the Jordan Valley - about 37,000 people spread over about 250 square kilometres of some of the most Arid areas of the country. Our goal is to sell 1,000 lights this coming holiday season, which will help subsidise another 1,000 lights for the Bedouin families. 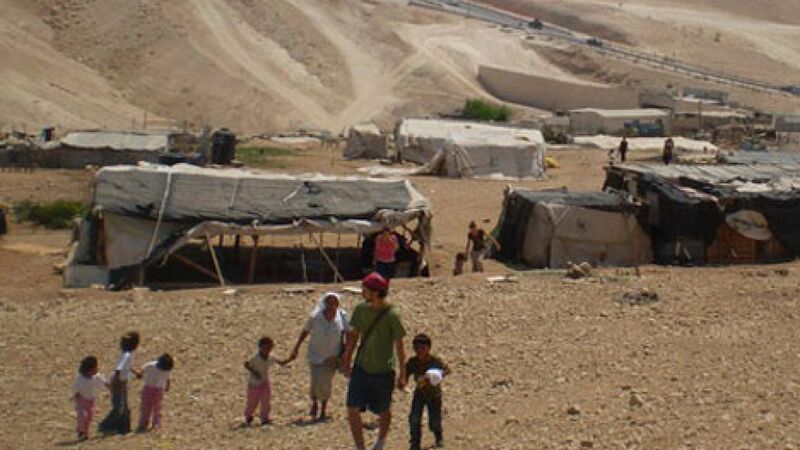 The Bedouin are the least among us, both those in Israel and in the Occupied West Bank. 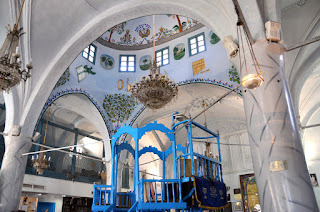 The Jahalin Tribe of Bedouin originated in the Negev Desert near Tel Arad and were displaced by the Israeli government in the early 1950s and forced to relocate to the West Bank, then under Jordanian jurisdiction. The tribe leased land from Palestinian landowners east of Jerusalem on the fringe of the Judean Desert next to the town of Al Azariya. 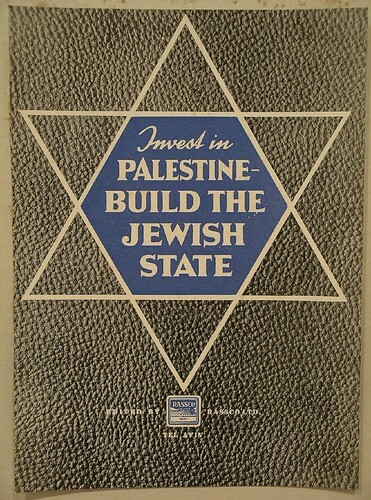 In 1967 Israel conquered the West Bank, and expropriated the land where the Jahalin were living in order to build the settlement city of Ma’ale Adumim. In the aftermath of the expulsions,The tribespeople continued to be semi-nomadic, roaming the region with their flocks of sheep and goats. However the Israelis increasingly restricted their movements which resulted in permanent encampments in various parts of the desert. Israel plans to move the Bedouin against their will into reservation-style locations near Jericho. The life of the Bedouin is grim. Since they are no longer nomadic, the tribe has long given up on tents yet the Israeli authorities allow no construction of permanent homes, and no assistance. As a result their communities are shantytowns with no village roads, no electricity or running water, and no security. Their scarce money is often spent on fuel for generators so that they can have lighting and refrigeration. Home-size solar array’s with their attendant battery storage, inverters and wiring systems are expensive, costing about $7-10,000 per home. Poor people just do not have this kind of money. 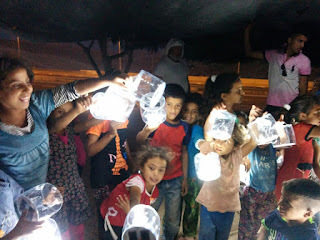 The lights provided through this program brings a little light and a little hope to an impoverished and oppressed community that someone out there still cares about them. Please help. Buy one light and we’ll donate another light to the Bedouin. Your help will make a difference.